I’ve been a self-Sorted Slytherin for a while now. This might seem odd coming from someone whose favourite characters are mostly Gryffindors, but various things about the House of Snakes has convinced me, over the years, that this is where I truly belong. Here I present my reasons for loving Slytherin, apart, of course, from its beautiful underwater dorms. 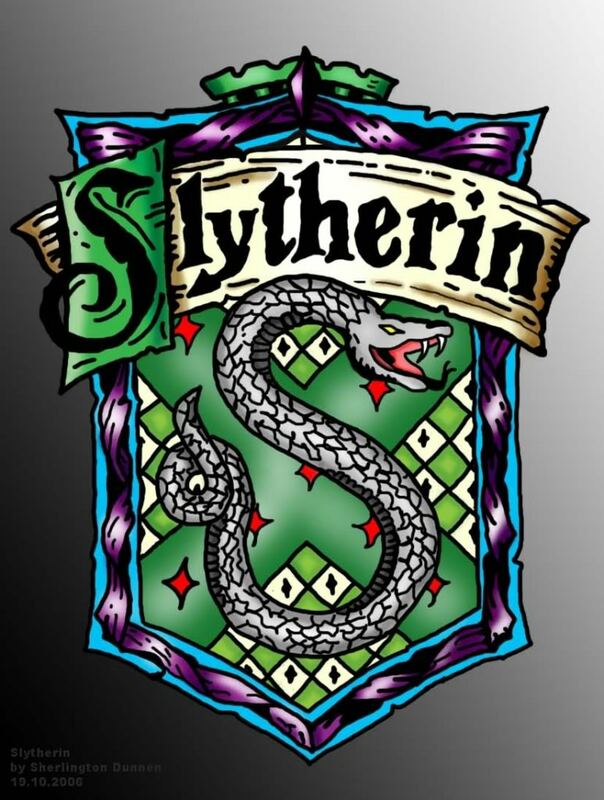 What’s it mean to be Slytherin? Before I begin, I should come clean about something. I didn’t always consider myself a Slytherin. In fact, when I first read the books, I told myself that of course I was Gryffindor. There could be no doubt about it. My conviction was based purely on the fact that Harry and his besties were in this House, and I, as the rightful Mrs. Potter, belonged there, by his side. And obviously I was brave, and ‘chivalrous’, whatever that was. 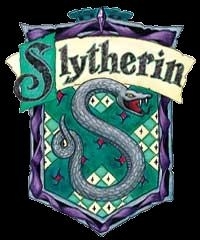 But now that I think of it, even the reasons I wanted to be in Gryffindor were very, well, Slytherin. I saw the House as a means to an end, a way to fulfill an ambition (ie, declaring myself like Harry and therefore heroic), a means of living up to a desired image in my own head. I didn’t honestly relish the idea of living by a set of ideals that, at the age of 11, I would have been in no position to understand. I am not entirely fond of being thrown into the centre of attention anywhere, and was certainy not at the forefront of social activities during my middle and high school years. In short, I was not really cool enough to be a Gryffindor. But still, why Slytherin? Why not Ravenclaw, full of smart kids? Wouldn’t I rather be considered a nerd than a slimy megalomaniac? I think it’s all too easy to forget that when it’s first introduced by the Sorting Hat, the Slytherin quality that is emphasised in ‘cunning’ and a certain kind of ruthlessness—these are the people, the Hat stresses, who use ‘any means to achieve their ends’. It also says, strangely enough, that this is House where you’ll meet your ‘real friends’. A rather odd choice of words for a place we later find out is filled with Death Eaters and bigots, isn’t it? Slytherin definitely suffers from bad press. Given the thousands of students who have no doubt passed through its watery common room, a few have made themselves so infamous that their actions overshadow any other achievements the House might have made. And because of the pure blood mania, we forget that what really defines Slytherins, from Draco to Snape to Voldemort, is a desire to prove onself, to be tenacious enough to succeed at something that they have set their minds to. This, really, is what pulls me towards this House, and makes me want to be a part of it. Slytherin has no moral illusions—the things its members want vary from protecting a child to killing just to make a point—but what its members learn is that while ambition and grand dreams are all very well, it takes tremendous work and dedication to pulling them off. What gives these people the drive to do those things is not just bravery or loyalty or smarts, it’s tenacity. And coupled with that a quality that none of the other Houses demonstrate as ably: an ability to admit wrong and turn around and start again, with just as much drive as before. What else would you call Snape’s switching over to Dumbledore’s side? Or Narcissa Malfoy’s near-suicidal declaration that Harry was dead, all evidence to the contrary? Regulus’s suicidal mission to get revenge on the Dark Lord? They show that people change—like a moulting snake, you can cast off an old set of ideals and move on. And sometimes you should, because that’s just how life works. What Slytherin and its tenets taught me was that you should dream big, but sometimes, you’ll find out that you’ve been incredibly wrong. People make terrible mistakes, but you can always be humble enough to turn around and try to set them right. The energy that you bring to ‘achieving’ your ‘ends’ will be undiminished, no matter what those ‘ends’ are. I’m not idealistically convinced of the strength of my own morality and convictions, like a Gryffindor. I like glamour and charm way too much to not receive adulation and praise, which disqualifies me from Hufflepuff. I’m not happy just being the smart kid, and don’t see learning as an end in itself, so no airy Ravenclaw towers for me. But I can choose a goal and bend my ambitions towards it, and if the need arises, change myself or my circumstances to ensure its completed. And if I change my mind and decide to go another way? No one can fault me for it. Slytherin promises its denizens that freedom, and embraces the possibility of change, which makes it, for me, really the most realistic House of them all. In previous posts, I’ve discussed the Sorting of students at Hogwarts and the ramifications their houses have on their futures. I’ve also admitted that my own placement in said Houses has changed over the years, chiefly because my assessment of what’s really important to me (i.e., how I want to be perceived) has shifted. Last but not least, the idea that you can actually choose which House you go into sort of throws into doubt the whole magical and more-knowledgeable-than-thou air of the Sorting Hat in the first place. Here though, I want to talk about a very specific thing, and that is the importance of the Slytherin trait of self-interest to the winning of the Second Wizarding War. We all know the basics, right? Gryffindor is the house of the brave, Ravenclaw of the intelligent, Hufflepuff the hardworking and Slytherin the rich, obnoxious and/or bigoted. In the Battle of Hogwarts, the Slytherins were supposedly evacuated en masse, and didn’t stay behind to help defend their school or the ‘right side’. What defines them is their selfishness, their cunning and their penchant for supporting the wrong authority figures. If anyone won the Battle of Hogwarts, it was the selfless Gryffindors and their staunch allies. Slytherin didn’t do anything—besides start the war in the first place. I don’t want to take away from the sacrifice of the ‘light’ soldiers, but I believe that much of their effort would have been for naught, if two Slytherins hadn’t done what they did to win the war. First of all—Severus Snape. If he hadn’t passed on those Harry-is-a-Horcrux memories, would Harry have gone out to face death in the manner that he did? Probably not. He might have continued fighting, surprised when the destruction of the known Horcruxes didn’t have the expected effect. He might possibly have killed Voldemort once, but surely the Dark Lord would have sprung back and AK’d him before Harry knew what was happening. Without Snape’s revelations, Harry would not have walked out unarmed and unsupported to face death and end one more of Voldemort’s connections to life. Second—this gallant sacrifice on Harry’s part would have, once again, been for nothing if Narcissa Malfoy had not, for whatever reason, declared him ‘dead’. While I think Voldemort was an idiot to send Narcissa and not, say, an unreservedly faithful follower like Bellatrix, this was a stroke of luck for Harry. Narcissa’s desire to get back into the castle and get to Draco outweighed any interest she might have had in figuring out what went wrong with the Dark Lord’s curse, and this lie provided her a deadly revenge on the man-snake who had been terrorizing her family all year long. Again, if Narcissa had not done what she did, I don’t think Harry would have left that clearing alive. Why did these people act as they did? Certainly there was bravery involved, but what defines both Snape and Narcissa’s behaviour here is self-interest, the domain of Slytherin house. Slytherins fight not for ideals or abstract concepts, apparently, can follow the dictates of their selfish desires to good ends. Snape, a great example of a tenacious Slytherin, joined Dumbledore’s side because of his love of, not freedom or humanity in general, but Lily. His desire to serve against Voldemort was born of a selfish exchange: so long as Lily was safe, he would fight for Dumbledore. Even after she died, it was in her memory that he fought on, as well evidenced by the gravelly ‘Always’. Narcissa wants to do nothing but get back to her son. Not for her the politics of the war or the questions of right and wrong thrown up by it: what matters is the preservation of those she loves, and all the rest can go to hell. I think, with the Slytherins, Rowling proved that you don’t always need sweeping ideals or larger-than-life courage to be a hero. Sometimes, devotion to purely selfish interests does do good. As the Sorting Hat said, ‘Those cunning folk use any means/To achieve their ends’. Not all of those ends, nor the means, are evil. And in some ways, this makes Slytherin house the most realistic of them all.